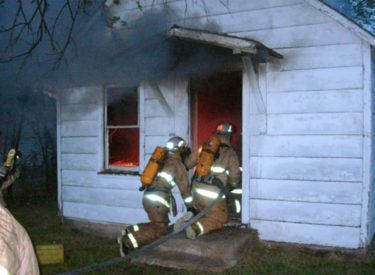 (By Mark Minton, Garden City Telegram)The Office of the State Fire Marshal announced Thursday the first recipients of a new grant program intended to bolster recruitment efforts for Kansas fire departments, with the Stevens County Fire Department receiving the most funding of any other county, adding $15,576 to its coffers. The new initiative, orchestrated through the Kansas Firefighter Recruitment and Safety Grant program, will allot up to $200,000 through the Fire Marshal Fee Fund to select fire departments with the intention of enhancing the part-time and volunteer recruitment program that accounts for approximately 80 percent of Kansas’ firefighters. Of the 41 fire departments that submitted applications amounting to $814,336 in requested funding, 19 received funding in various amounts depending on their need, application punctuality and compliance reporting to the Kansas Fire Incident Reporting System. Kelling said the department tries to keep an up-to-date set of gear for each firefighter, and it will keep its older equipment that is in good shape in case it is needed. Kelling said the grant funds will be used to purchase bunker gear for eight firefighters, and that this is the first time in his 24 years with the fire department, including five as chief, that an opportunity like it has been made available through the state legislature. The funding was included in the 2016 state budget, which was passed by the Legislature and signed by Gov. Sam Brownback. In addition to enhancing recruitment efforts and covering safety gear costs, the grant program also will help buy new washer-extractor machines used to clean bunker gear after a fire. It also makes funds available to create Junior Firefighter programs to attract young volunteers into the fire service.